You have decided to get married on the beach in Mexico…how exciting! Sandy toes and warm ocean breezes while you say “I Do” in a beach wedding ceremony, (sigh!) what could be more romantic? However, this is not Las Vegas. You can’t just show up in the morning and expect to be legally married at sunset. Here are a few of the frequently asked questions we hear about how to get married in Mexico. 1. How Soon Can We Get Married Once We Arrive In Mexico? You, and your four witnesses will need to be in the country for THREE working days before your wedding day. This means Monday to Friday. And check for national holidays, because we have a bunch of those! In other words, plan to land at least FOUR days before your wedding. 2. Why Do We Need Blood Tests For A Civil Ceremony In Mexico? Every state in Mexico has its own laws regarding a health check, but here in Quintana Roo (where you will be if you are getting married on the beach anywhere between Cancun and Tulum), a standard blood test is required. Why? This is done to determine blood type, HIV and STD. And yes, it MUST be done here in Mexico. 3. How Do We Get Blood Tests Done In Mexico? Chances are very good that you are either getting married at an all-inclusive resort or have hired a professional beach wedding planner to organize a more private wedding celebration. Rest assured, they will take care of this for you. You can expect a doctor to come to you, and the blood test is very quick. Just remember to bring cash to pay the doctor, and confirm ahead of time the amount to be paid because these things can always change here in the Riviera Maya! 4. Does My Wedding Ceremony Have To Be In Spanish To Be Legal? No. 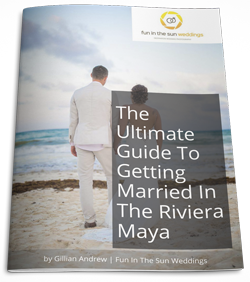 Destination weddings in the Riviera Maya are BIG business, and so there is no shortage of qualified, English speaking Marriage Officiants. Hooray! You will be able to understand what is being said at your wedding ceremony! Again, if you are working with a wedding planner, they will take care of all of these details for you. If you do not like the vendor offered by your all-inclusive resort, we can certainly recommend someone wonderful for you! Just ask! Bear in mind, your marriage license will be in Spanish. This in itself is not a problem in Canada. You can choose to have it translated at home if you want, but your marriage will still be recognized as legal if do not. This is different for US citizens, unfortunately. The rules vary by state regarding the necessity of marriage license translation but note that you will need to have it apostatized in order for your marriage to be recognized as legal. Here is a list of the States that require translation. Are you coming from the UK to get married in Mexico? Here is what you need to know about getting your documents legalized. 5. What Documents Do We Need With Us In Order To Have A Civil Wedding Ceremony? I know this might sound like a lot, when you already have so much on your plate with your wedding as it is, but if you are a tourist getting married in Mexico, chances are pretty good that you will have a great wedding planner holding your hand through this process. 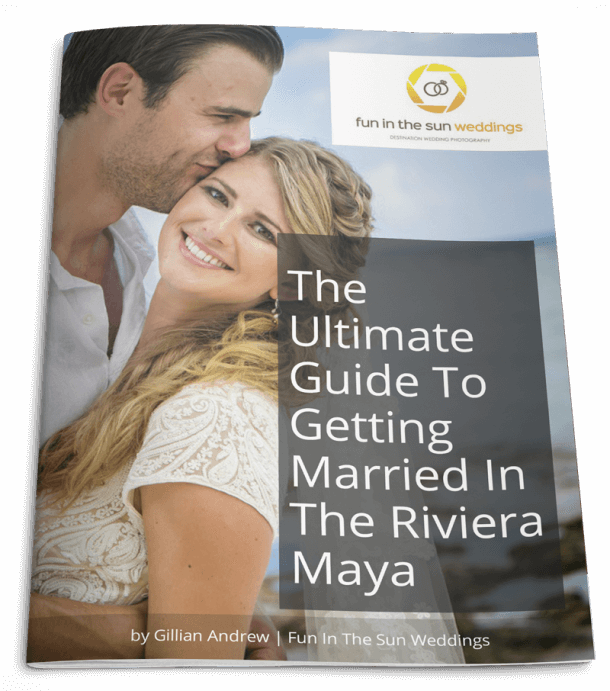 However, if you want more information on all of this, here is a great resource on getting married in Mexico. When you are ready to book the best Riviera Maya wedding photographers for your beach wedding in Mexico, contact us! We are Fun In the Sun Weddings, the best wedding photographers in Playa del Carmen, Tulum and Cancun.